Balance sheets along with income statements are statements that are not only used to evaluate the health and financial position of a business but are the primary statements that lenders and investors will look at. In our previous article, we talked about creating an internal income statement to analyze our financial data. Here we will discuss the importance of an accounting balance sheet, look at an example to get an understanding of the balance sheet format. 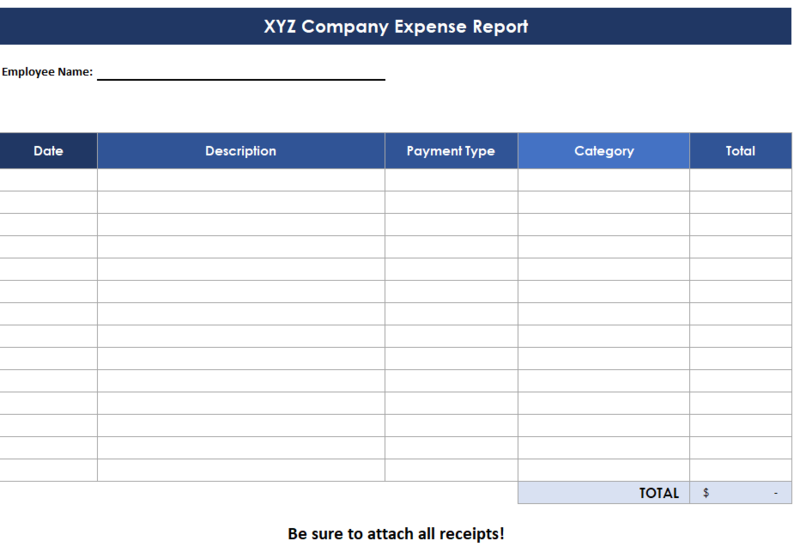 If you just came for the balance sheet template, scroll to the bottom of the page! An accounting balance sheet is a portrait of the financial standing of a business at a point in time. It shows what your business owns and what it owes. The balance sheet is similar to a personal financial statement that someone may fill out when applying for a loan to show their assets and liabilities. A balance sheet will show a summary of a company’s assets, liabilities and owner’s equity at a specific point in time. It is usually prepared at the end of the month, quarter, or year. Why Prepare a Balance Sheet? The balance sheet is one of the three primary financial statements that a business uses to evaluate its financial health. The balance sheet can be a very valuable tool in evaluating financial performance and making financial business decisions. Assets – Assets are items owned by the business. In the assets section of the balance sheet, you will notice that there are current and long-term assets. Current assets are the same as short-term assets and those are assets that are expected to be sold or turned into cash within one year. Cash is considered the most liquid of all assets, but other short-term assets include items like accounts receivable and prepaid expenses like rent or insurance. Long-term assets or non-current assets are assets not expected to take more than one year to be consumed or converted into cash. Long-term assets often include items like real estate or machinery. The reason for dividing current and long-term assets is that these categories can be used to measure the liquidity of a company by turning assets into cash. Accounts Receivable – Money owed by customers who purchased goods or services on credit that was provided by the company. Current Liabilities – A current liability is a loan due to creditors within the next 12 months from the beginning date on the balance sheet. Accounts Payable – Similar to accounts receivable, accounts payable are short-term loans, typically owed by the business from purchases made on credit from suppliers or vendors. Taxes Payable – Taxes that have accrued but have not yet been paid. One example would be payroll taxes. The wages have been paid to the employee but payroll taxes haven’t been paid yet as they weren’t due at the time the balance sheet was created. Long-term Liabilities – Similar to current liabilities, but a long-term liability is a debt that is due more than one year out from the date being reviewed on the balance sheet. Retained earnings – Earnings that are reinvested in the business after the deduction of any dividends. Current Portion of Long-Term Debt – Amount of principal that will be due within one year of the date of the balance sheet. Owners’ Equity – Sometimes referred to as stockholder equity, net worth or paid-in capital and is the amount owners have invested in the business minus any withdrawals (not including salaries) taken since the business began. What is Included in a Balance Sheet? Owner’s Equity – Shows the amount of money invested in the business along with retained earnings. What is the Order of Items on the Balance Sheet? Balance sheet accounts are listed in a specific order depending on if they are assets or liabilities. Assets are ordered on the balance sheet in terms of how long it would take to change them into cash. Cash would obviously be first then followed by accounts receivable, inventory, fixed assets like land, equipment and buildings, with goodwill at the end because that typically represents the sale of the business. A total liability is typically ordered with total current liabilities first and then non-current liabilities. The order varies with the other liability items by business. Why Does a Balance Sheet Balance? The balance sheet should always balance because of the accounting equation Assets = Liability + Equity. The reason for this equation is that if you take the total assets of the business and then subtract the total liabilities, you are left with the amount that belongs to the owner. If you are using a double entry accounting software, a company balance sheet is very easy to create. A click of a button will create a basic balance sheet. You can also run a comparison balance sheet and compare your current accounting balance sheet with a previous period. Single entry bookkeeping systems such as my free spreadsheets do not include the ability to track assets and liabilities, so generating a balance sheet can be a little more difficult. You will need to gather your assets and liabilities information and find a good free balance sheet template online. I also have a basic balance sheet template in Excel that you can download for free. When the balance sheet is completed and the starting and ending cash balances that are calculated, the Cash Flow Statement is the next financial statement to tackle. In general ledger accounts, there are two primary types which include the balance sheet and income statement. Balance sheet accounts are permanent or real accounts and are used to organize, record, and sort transactions. What is a horizontal balance sheet? A horizontal balance sheet is a financial statement with additional columns to show changes in the amounts of assets, liabilities and equity of a business over multiple years. This makes it easier to see the financial performance of a business as multiple years are on one page. How do I check a balance sheet for mistakes? The easiest way to check a balance sheet for mistakes is to see if the right side of the balance sheet (total assets) are equal to the right side (liabilities plus owner’s equity). What notes are typically prepared for the balance sheet? The notes (or footnotes) on the balance sheet contain information that is critical to properly understanding and analyzing a company’s financial statements and are used to inform a reader about significant accounting activities like commitments made by the company, potential liabilities & losses and procedural changes. The notes contain information that is critical to properly understanding and analyzing a company’s financial statements. A few examples of footnotes in the balance sheet could include claims against the company, methods of depreciation or the method of valuing inventory. Where does accumulated depreciation go? The accumulated depreciation account should go on the asset side of the balance sheet. Accumulated depreciation is the cumulative total amount of depreciation that has been reported as expense on the income statement and is increased with a credit and decreased with a debit because its function is to decrease the cost of a company asset as it loses value over time. What is a pro forma balance sheet? A pro forma balance sheet makes estimates on the future effects on assets, liabilities and net worth after applying assumptions and projections to the current performance of the company. What accounts appear on a balance sheet? What is the balance sheet equation? The balance sheet equation is assets = liabilities + owner’s equity. The statement of financial position or (sofp) is just another name for the balance sheet.